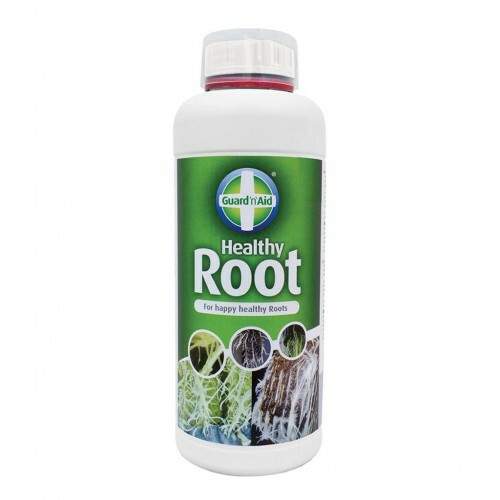 Guard n Aid Healthy Root restores the microbial balance by adding beneficial bacteria, improving nutrient availablity and uptake and will ensure roots grow strong and healthy in all growing conditions. Systems - Add 25ml per litre of water use with every nutrient change. Use along side your standard nutrient program or a boost when you see stress or browning of roots. In no time at all, healthy white roots will grow back and your harvest will be assured.